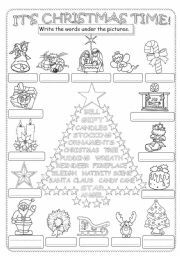 A simple activity for Christmas time... Pupils read the words written in the tree and write under the correct picture. I hope can be useful. A Merry Christmas to all! Our school year, here in Italy, is about to start so I created this copybook cover for my pupils. 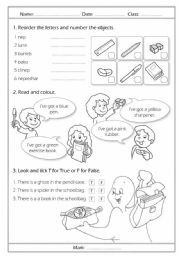 They have to complete with them personal information (name, class, school year...) and then colour it. It´s great for a fourth class. Hope you will like it. 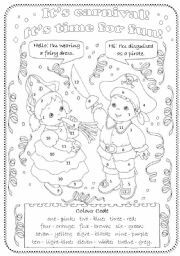 Here´s another fun activity for Carnival time. 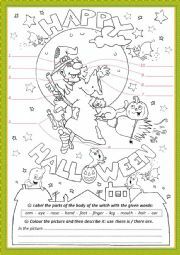 The task is easy: colour following indications, so the students empower the learning of numbers from 1 to 12 and colours. 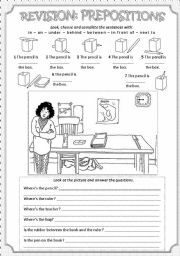 A worksheet to check the pupils´learning about prepositions. I hope you find it useful. P.S. The big picture is taken from the workbook:"You and Me 2" - Oxford University Press. 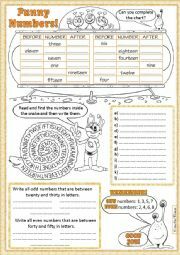 An easy and funny activity for little ones to learn or practise the numbers. Good Tuesday and... I hope you find it useful and use it! 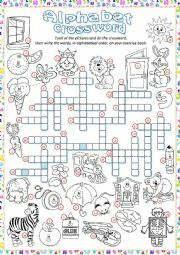 This worksheet is useful to practice the time and daily actions. 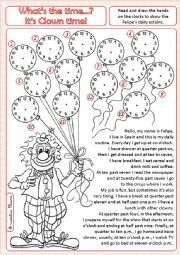 Pupil read the text and draws the hands on the clock. Good Monday ;-) and... hope you find it useful! 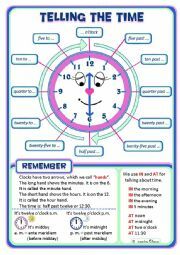 Worksheet to teach students how to tell the time. It can be used as a classroom poster. Hope you can use it with your pupils.